I love living in Canada because of our diverse seasons and all the fun activities that come with them. I can’t imagine life without rain or snow or a combination of both sometimes and as my parents always say, there’s no bad weather, just bad clothing. So finding the right clothes for various weather conditions will make you enjoy that weather so much more, right?!? YES!!! Case in point, the 2015 Canada Goose Trenton Soft Shell Jacket that I’ve been proudly living in over the last month has made me love experiencing the rather surprising recent weather conditions in Toronto. From 0 celcius with slushy snow, to windy rain, to -5 celcius sunshine and chills, it’s all good because of my Trenton. 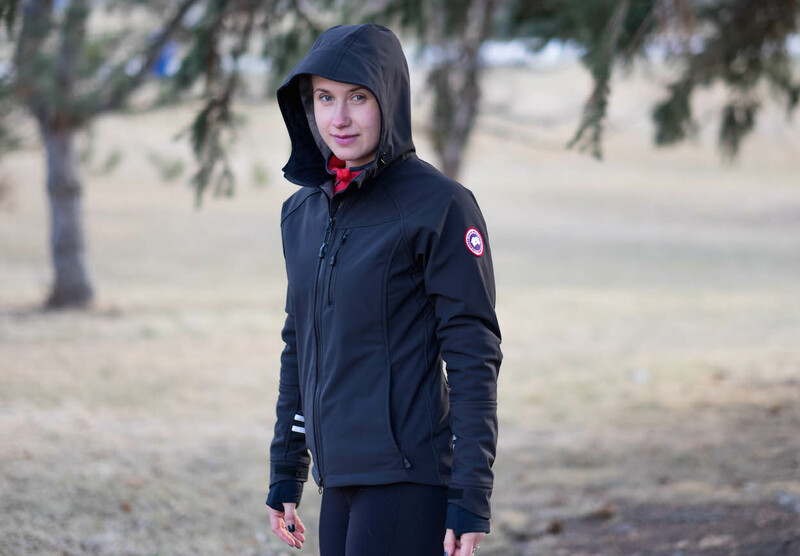 Our sneaky spring conditions this year have certainly frustrated a lot of outdoor athletes out there but I honestly enjoyed it, and the big reason was this fabulously functional and stylish jacket, the Trenton Soft Shell. Flexibility & Lightweight: Trenton Jacket has a built-in 2-way stretch that makes the shell durable and functional for everyday use to hiking, skiing, rock climbing and light jogging. Water & Wind Resistant: A multi-functional, one stop shop shell offers the right amount of water and wind resistance. 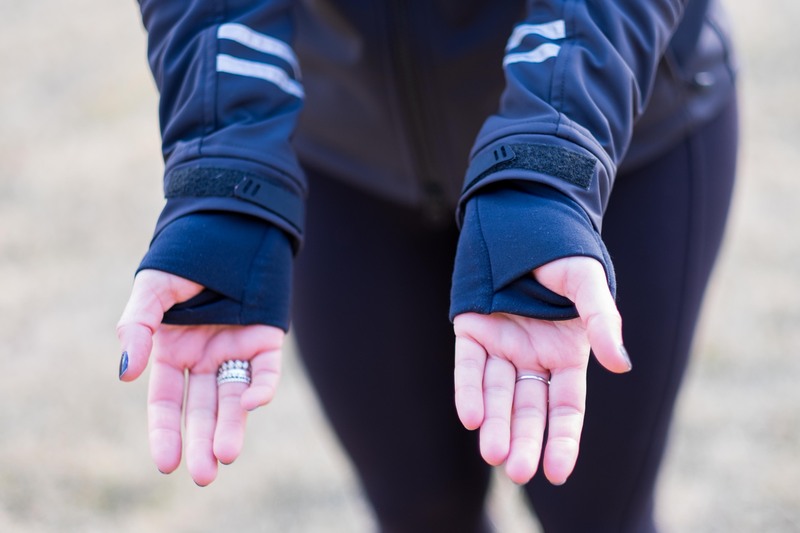 Breathable & Durable: with water and wind resistance comes the idea that the jacket may not be very breathable and thus uncomfortable during high-intensity activity. After playing with my dog while casually jogging and hiking, I can attest to the fact that Trenton is functional in that it keeps you dry in rainy conditions, warm in windy conditions and is also comfortably breathable and well ventilated. Warmth: the inside of the shell is lined with high-loft fleece that frankly is as soft as a baby’s bum. 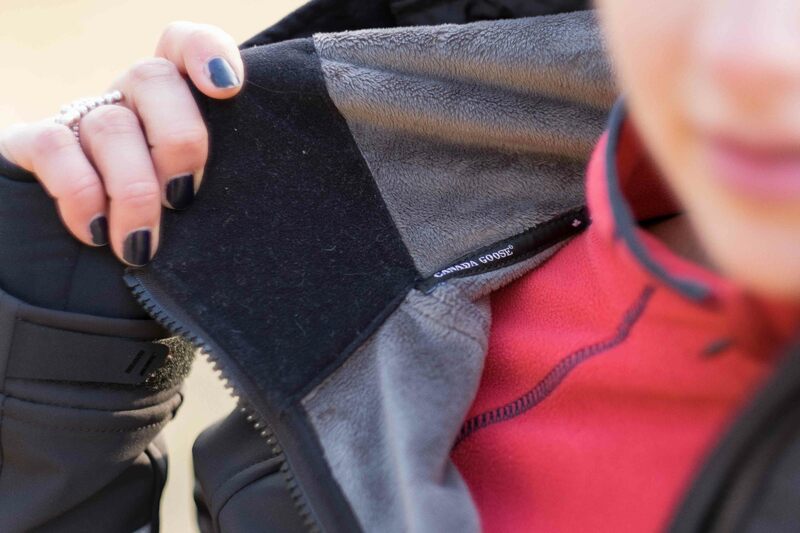 That is probably one of the biggest reasons I want to go outside no matter the weather – it begs to be worn because the fleece is that pleasant to the touch, it’s like velvet. Colours Galore: there’s the black and grey version that I tested but I’d highly recommend one of the more fun colour combinations offered. They’re very trendy and bring a smile to my face just looking at them. Trenton jackets are slim fitting, as shells should be, and prior to purchasing, review their sizing charts. Hood: is also lined with the soft high-loft fleece making it very cozy. It’s easy to put on when the jacket is zipped up and provides great rain coverage because the brim is a bit stiffer and helps to keep drops off your face. Pockets: 5 of them! 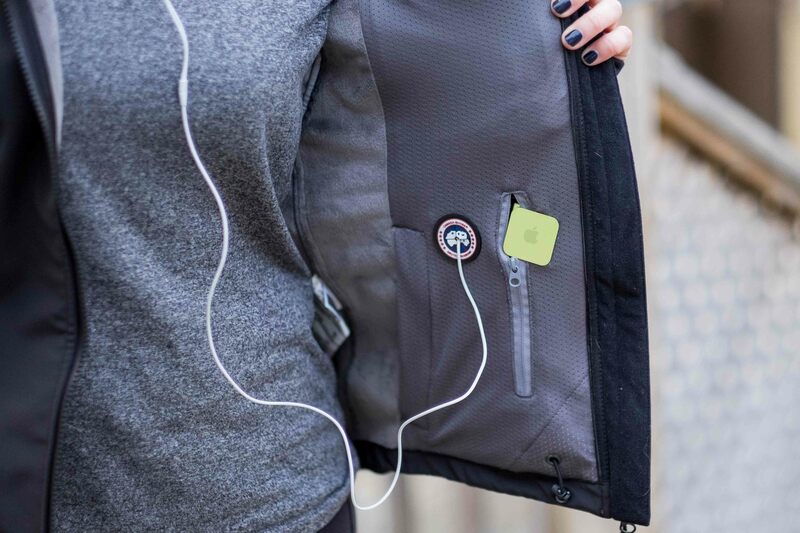 I find women’s jackets always lack functional pockets but the Canada Goose design team solved that problem by offering deep, functional and easily accessible pockets – 3 on the front and 2 inside. The Canada Goose Trenton Jacket is a long-lasting, high quality soft shell that as an outdoor enthusiast you will love and exploit. 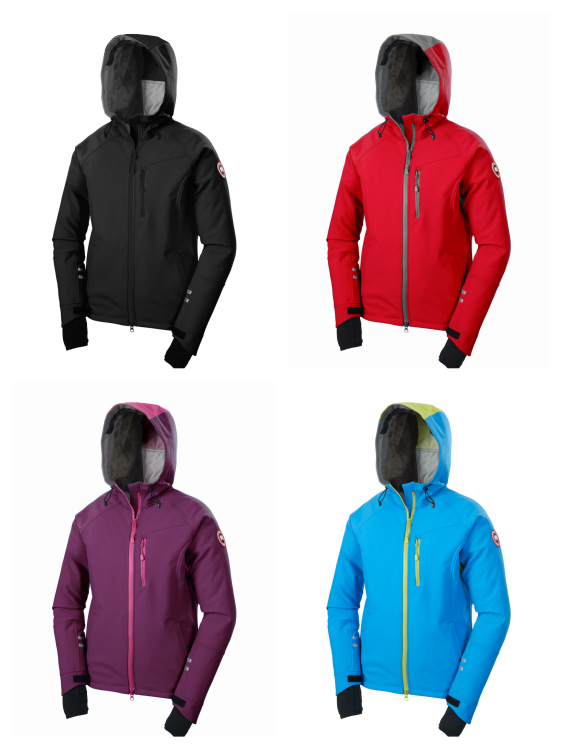 The price tag is CDN $525.00 for men’s and women’s and personally I’d rather have this one multi-purpose, functional and comfortable jacket versus having three different ones for different conditions.